This module asks two questions: “Is happiness good?” and “Is happier better?” (i.e., is there any benefit to be happier, even if one is already moderately happy?) The answer to the first question is by and large “yes.” The answer to the second question is, “it depends.” That is, the optimal level of happiness differs, depending on specific life domains. In terms of romantic relationships and volunteer activities, happier is indeed better. In contrast, in terms of income, education, and political participation, the moderate level of happiness is the best; beyond the moderate level of happiness, happier is not better. Learn about the research on the relationship between happiness and important life outcomes. Learn about the levels of happiness that are associated with the highest levels of outcomes. Are you happy? If someone asked this question, how would you answer it? Some of you will surely say yes immediately, while others will hesitate to say yes. As scientific research on happiness over the past 30 years has repeatedly shown, there are huge individual variations among levels of happiness (Diener, Suh, Lucas, & Smith, 1999). Not surprisingly, some people are very happy, while others are not so happy, and still others are very unhappy. What about the next question: Do you want to be happy? If someone asked this question, I would bet the vast majority of college students (in particular, Americans) would immediately say yes. Although there are large individual differences in the actual levels of happiness, nearly everyone wants to be happy, and most of us want to be happier, even if we are already fairly happy (Oishi, Diener, & Lucas, 2007). The next important questions then are “Is happiness good?” and “Is happier better?” (i.e., is there any benefit to being happier, even if one is already moderately happy?) This module will tackle these two questions. Is happiness good? The ancient philosopher Aristotle thought so. He argued that happiness is the ultimate goal of human beings, because everything else, ranging from being respected by others, to being with a wonderful partner, to living in a fabulous house, is all instrumental, namely, to achieve some other goals (Thomson, 1953). In contrast, all other aspirations (e.g., money, health, reputation, friendship) are instrumental goals pursued in order to meet higher goals, including happiness. Thus, according to Aristotle, it is only rational that happiness is the ultimate objective in life. There are of course plenty of thinkers who disagree with Aristotle and see happiness as a frivolous pursuit. For instance, the famous French novelist Gustav Flaubert is believed to have said: “To be stupid, selfish, and have good health are three requirements for happiness, though if stupidity is lacking, all is lost” (Diener & Biswas-Diener, 2008, p. 19). Flaubert clearly associated happiness with selfishness and thoughtlessness. So what does the science of happiness tell us about the utility of happiness? There are two major reviews on this topic so far (Lyubomirsky, King, & Diener, 2005; Veenhoven, 1989). Both reviews found that happiness is good; happy people tend to be more likely to be successful at work (Cropanzano & Wright, 1999; Roberts, Caspi, & Moffitt, 2003), tend to be more likely to find romantic partners (Lucas, Clark, Georgellis, & Diener, 2003), tend to be better citizens, engage in more prosocial behaviors (Carlson, Charlin, & Miller, 1988), and tend to be healthier and live longer than unhappy people (Pressman & Cohen, 2012). The correlation between happiness and various life outcomes is almost never negative. That is, harmful effects of happiness are rare. However, the effect size is modest at best (r = .20–.30), with a great deal of heterogeneity, suggesting that important moderators (particularly individual differences) remain to be discovered. Thus, although happiness is generally associated with positive life outcomes, the next important question is whether it is wise to seek greater happiness when one is already reasonably happy. A major review on the question of “Is happier better?” revealed that the answer depends on life domains (Oishi, Diener, & Lucas, 2007). In achievement-related domains such as income and education, once one is moderately happy, greater levels of happiness were not associated with better outcomes. In contrast, in relationship-related life domains, even if one is moderately happy, greater levels of happiness were indeed positively associated with better outcomes. I will describe specific findings below. In one study, researchers (Diener, Nickerson, Lucas, & Sandvik, 2002) followed college students from their freshman year until middle adulthood (when they were in their late 30s). When participants were incoming college freshman, they reported their cheerfulness. Nineteen years later, at about age 37, the same participants also reported their annual income. There was a positive association between cheerfulness in the freshman year and income 19 years later; specifically, the participants who were in the highest 10% of cheerfulness in 1976 earned an average of $62,681 in 1995. In contrast, the participants in the lowest 10% of cheerfulness in 1976 earned an average of $54,318. So, in general, cheerful college students later made more money than depressed ones. Interestingly, however, this association was not linear. Those who were moderately cheerful (“above average” on cheerfulness) in college earned the most, $66,144. That is, the moderately cheerful college students were later making nearly $3,500 more than the most cheerful college students. Thus, if we use income as a criterion, the optimal level of “cheerfulness” was not the highest level, but a more moderate level. Figure 1. Happiness at age 18 and income at age 33 (from Oishi & Koo, 2008). Income is in Australian dollars. Diener et al.’s (2002) finding has been replicated in other large longitudinal studies. For instance, Oishi et al. (2007) analyzed the Australian Youth in Transition study, a longitudinal study of nationally representative cohorts of young people in Australia and found the non-linear effect of happiness on later income. Participants in the Australian study indicated their life satisfaction (“satisfaction with life as a whole”) when they were 18 years old. They also reported their gross income when they were 33 years old. Like American data, Australian data also showed that teenagers satisfied with their lives were later earning more money than those unsatisfied. However, Australians who were moderately satisfied when they were 18 years old were making the most in their 30s rather than those who were very satisfied with their lives. Respondents from the Australian Youth in Transition Study also reported the number of years of schooling they completed beyond primary education when they were 26 years old. Similar to the income findings, the highest levels of education were reported by those individuals who had moderate levels of satisfaction when they were 18 years old. The “very satisfied” teenagers did not pursue as much education later as teenagers who were moderately satisfied. One reason why moderately satisfied individuals later made the most money could be due to the years of education that people pursued: Very satisfied teenagers do not seem to pursue more education and, therefore, somewhat limiting their earning in their 30s. Oishi et al. (2007) also analyzed two other longitudinal data sets: the German Socio-Economic Panel Study (GSOEP) and the British Household Panel Study (BHPS). Both studies used nationally representative samples whose participants were followed longitudinally. These two data sets again showed that people who were satisfied with their lives early on were making more money years later than those who were not satisfied with their lives. However, again, the relationship between earlier life satisfaction and later income was not linear. That is, as in Australian data depicted in Figure 1, those who were most satisfied early on were not making as much money as those who were moderately satisfied. In short, four large, longitudinal studies conducted in the United States, United Kingdom, Australia, and Germany all converged to indicate that happiness is good up to a certain point; however, higher levels of happiness beyond a moderate level are not associated with higher incomes or more education. What about other life domains? Is the moderate level of happiness also associated with the best outcome in terms of, say, romantic relationships? The respondents in the Australian Youth in Transition Study also reported the length of their current intimate relationship later. In contrast to the income and education findings, individuals from the “very satisfied” teenagers were involved in longer intimate relationships later than were individuals from the second and third most-satisfied teenagers. There are now many other data sets available to test the issues of the optimal levels of happiness. For instance, the World Values Survey, which was administered in 1981, 1990, 1995, and 2000, includes 118,519 respondents from 96 countries and regions around the world (see www.worldvaluessurvey.org for more information about the survey questions and samples). Respondents rated their overall life satisfaction on a 10-point scale (“All things considered, how satisfied are you with your life as a whole these days?”). They also indicated their income (in deciles from the lowest 10% in the nation to the highest 10% of the nation), highest education completed, their relationship status (i.e., whether they were currently in a stable long-term relationship), volunteer work they participated in (respondents indicated which, if any, of the 15 types of volunteer work they were involved in), and political actions they had taken (e.g., signing a petition, joining in boycotts). These questions were embedded in more than 200 questions about values and beliefs. Here, we consider income, highest education completed, relationship status, volunteer work, and political participation. The World Values Survey data also showed that the highest levels of income and education were reported by moderately satisfied individuals (8 or 9 on the 10-point scale) rather than very satisfied (10 on the 10-point scale). Similarly, the greatest level of political participation was reported by moderately satisfied individuals rather than by the most satisfied individuals. In contrast, the highest proportion of respondents in a stable intimate relationship was observed among the “very satisfied” rather than moderately satisfied individuals. Similarly, the highest level of volunteer activities was observed among the “very satisfied” individuals. So far, the research shows that the optimal level of happiness differs, depending on specific life domains. In terms of romantic relationships and volunteer activities, happier is indeed better. In contrast, in terms of income, education, and political participation, the moderate level of happiness is the best; beyond the moderate level of happiness, happier is not better. Why is it best to be happiest possible in terms of romantic relationships and volunteer activities, whereas best to be moderately happy in terms of achievement? At this point, this mechanism has not been empirically demonstrated. Thus, the following is just a speculation, or educated guess. First, with regard to the nonlinear association between happiness and achievement, the main reason why the very high level of happiness might not be associated with the highest level of achievement is that complete satisfaction with current conditions might prevent individuals from energetically pursuing challenge in achievement domains such as education and income. After all, the defining characteristics of need for achievement are high standards of excellence and constant striving for perfection (McClelland, 1961). Similarly, if individuals are completely satisfied with the current political situation, they might be less likely to actively participate in the political process. Achievement domains also have very clear objective criteria, in the form of either monetary value, degree, or skill levels. Improvement motivation (e.g., self-criticism, self-improvement) serves well in the achievement domains because this mindset makes clear what needs to be done to improve one’s skills and performance. In contrast, self-complacency and positive illusions prevent one from clearly seeing one’s weaknesses and working on these weaknesses. The diametric opposite of self-complacency, Tiger Woods spent long hours practicing to improve his already-amazing shot after winning his first Masters. Similarly, Kobe Bryant was known to show up at practice three hours early, so that he could improve some aspects of his game, even though he already was one of the best players in the NBA. This type of self-improvement motivation is often rewarded handsomely in terms of performance, income, status, and fame. The same type of motivation applied to an intimate relationship, however, does not work as well. This motivation might lead to a realization that the current partner is less than ideal and that a better partner is somewhere out there. Indeed, in a romantic relationship, idealization of the partner is known to be associated with higher relationship satisfaction and stable relationship (e.g., Murray, Holmes, & Griffin, 2003). In other words, positive illusion serves well in romantic relationships, in which one might not want to pay too much attention to his or her partner’s weaknesses. In the 1959 film Some Like It Hot, the millionaire Osgood Fielding III (played by Joe E. Brown) fell in love with Daphne (played by Jack Lemmon). In the memorable ending, Daphne confessed that she was actually a man and Osgood famously responded: “Well, nobody’s perfect!” In short, we argue that the highest possible level of happiness is associated with idealization of the partner and positive illusion about the relationship itself, which, in turn, results in relationship stability. In an area in which nobody can be perfect, improvement motives can be a poison. What about the optimal level of happiness for volunteer work? Why is the highest level of happiness better than moderate happiness? Many of us often idealize volunteer work the way we idealize relationships. Many of us volunteer, with an idealistic view of the world, to contribute to humanity. However, like a romantic partner, no volunteer organization or volunteer work is perfect. It is also time-consuming and requires serious commitment. Just like romantic relationships, then, it might be best to have a mindset with positive illusion, that one’s efforts are making a difference to the world. It might be that moderately happy people, or at least some of them, might become more likely to be disillusioned with the volunteer work than very happy people are, because moderately happy people are more realistic than very happy people. In short, volunteer work might be more similar to close relationships than to achievement domains in terms of its motivational mechanism. In summary, the optimal levels of happiness differ, depending on life domains. In terms of income and education, the optimal levels of happiness seem to be moderate levels. That is, individuals who are moderately happy are likely to attain the higher levels of education and earn the most in the future. In contrast, in terms of romantic relationships and volunteer activities, the optimal levels of happiness seem to be the highest levels. Individuals who are very happy are likely to stay in a good romantic relationship or volunteer. The divergent optimal levels of happiness for relationship and achievement domains suggest that it is generally difficult to have an extremely high level of overall happiness, good romantic relationships, and high achievements. To this end, it is not surprising that icons of motivation—Tom Cruise, Vladamir Putin, Martha Stewart, and hockey player Petr Nedved—all had marital problems, while achieving unprecedented success in their respective fields. Other examples, such as Bill and Melinda Gates, and Barack and Michele Obama give us some hope that it is possible to "have it all." if you have talent in your chosen field, are passionate about it, and can switch your motivational strategies between work and love then optimal happiness is possible. Why do you think that the optimal level of happiness is the moderate level of happiness for future income, and the highest education achieved? Can you think of any other reasons than the ones described in this module why this is the case? Do you think that the optimal level of happiness differs, not only across life domains, but across cultures? If so, how? In which culture, might the optimal level of happiness be lower? Higher? Why? What might be the optimal level of happiness for health and longevity? Highest possible level of happiness or moderate level? Why do you think so? A state of well-being characterized by relative permanence, by dominantly agreeable emotion ranging in value from mere contentment to deep and intense joy in living, and by a natural desire for its continuation. Various domains of life, such as finances and job. The degree to which one is satisfied with one’s life overall. The level that is the most favorable for an outcome. Carlson, M., Charlin, V., & Miller, N. (1988). Positive mood and helping behavior: A test of six hypotheses. Journal of Personality and Social Psychology, 55, 211–229. Cropanzano, R., & Wright, T. A. (1999). A 5-year study of change in the relationship between well-being and job performance. Consulting Psychology Journal: Practice and Research, 51, 252–265. Diener, E., & Biswas-Diener, R. (2008). Happiness: Unlocking the mysteries of psychological wealth. Malden, MA: Blackwell. Lucas, R. E., Clark, A. E., Georgellis, Y., & Diener, E. (2003). Reexamining adaptation and the set point model of happiness: Reactions to changes in marital status. Journal of Personality and Social Psychology, 84, 527–539. McClelland, D. C. (1961). The achieving society. New York, NY: D. Van Nostrand Co.
Murray, S. L., Holmes, J. G., & Griffin, D. W. (2003). Reflections on the self-fulfilling effects of positive illusions. Psychological Inquiry, 14, 289–295. Oishi, S., & Koo, M. (2008). Two new questions about happiness: “Is happiness good?” and “Is happier better?” In M. Eid & R. J. Larsen. (Eds. ), Handbook of subjective well-being (pp. 290–306). New York: Oxford University Press. Oishi, S., Diener, E., & Lucas, R. E. (2007). The optimal level of well-being: Can we be too happy? Perspectives on Psychological Science, 2, 346–360. Pressman, S. D., & Cohen, S. (2012). Positive emotion use and longevity in famous deceased psychologists. Health Psychology, 31, 297–305. Roberts, B. W., Caspi, A., & Moffitt, T. E. (2003). Work experiences and personality development in young adulthood. Journal of Personality and Social Psychology, 84, 582–593. Thomson, J. A. K. (1953). The ethics of Aristotle: The Nicomachean ethics. London, U.K.: Penguin Books. Veenhoven, R. (1989). How harmful is happiness? Consequences of enjoying life or not. Rotterdam: University Pers Roterdam. 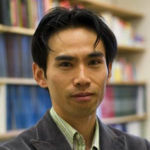 Shigehiro Oishi is a professor of psychology at the University of Virginia. He is interested in culture, social ecology, and subjective well-being. He was an associate editor for Personality and Social Psychology Bulletin from 2008 to 2010. He is now an associate editor for Journal of Personality and Social Psychology. Optimal Levels of Happiness by Shigehiro Oishi is licensed under a Creative Commons Attribution-NonCommercial-ShareAlike 4.0 International License. Permissions beyond the scope of this license may be available in our Licensing Agreement.